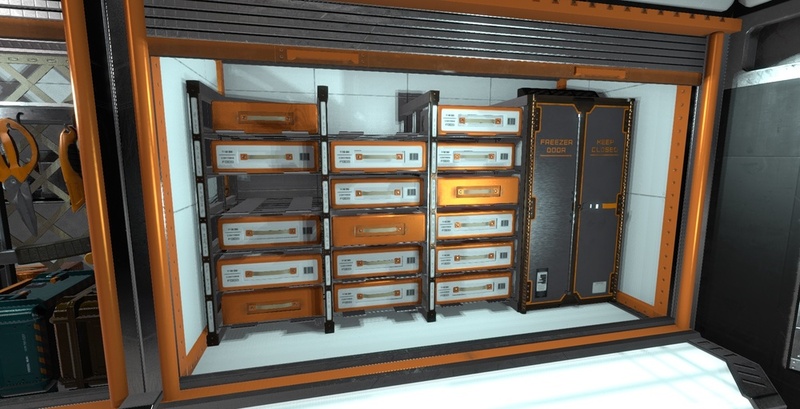 The last major component of the interior Habitat, the Inventory Storage module, is complete. The final third of this module holds the Consumables portion of your inventory. Just like the other parts of the Storage unit, the items shown here are a visual representation of the amount of food you have stashed. With the Habitat interior finalized, we only have a few other major art-related tasks for the survival mode left. Our next highest priority assets are the external maintenance units at Foundation Base. These include anything outside of the Habitat that you may have to repair such as the Water Reclaimer, Re-oxygenator, and Heater. Most of these machines will be detached from the Habitat, with buried lines that connect them to structures. From a game design perspective, this allows us to create some interesting maintenance and upkeep EVA’s where the player can choose to do routine inspections or risk waiting until something fails. We want these units to have multiple problems that can arise randomly, and also force players to make choices of how to utilize the resources available to them. For example, each of these units will require a power source. Solar panels will serve as a common source of power in most cases, but they require dusting regularly and can be at risk during electrical storms. Another power source that will be available is the RTG, or Radioisotope Thermoelectric Generator. Here’s a quick look at the work-in-progress model we will use for the RTG in-game. The RTG is basically a vessel that contains a naturally decaying plutonium core. Plutonium-238 creates heat as it decays, which the vessel uses to convert into electricity. It can last for over a decade and is a very practical way to power something on Mars. For Lacuna Passage, the RTG will serve as the sustainable and low-maintenance alternative to solar energy. It will be a rare find that the player will have to decide carefully what to power with it. The RTG is something we are very excited to implement because it expands our options for survival elements by drawing from real-world inspirations. NASA actually uses a RTG on the Curiosity rover. 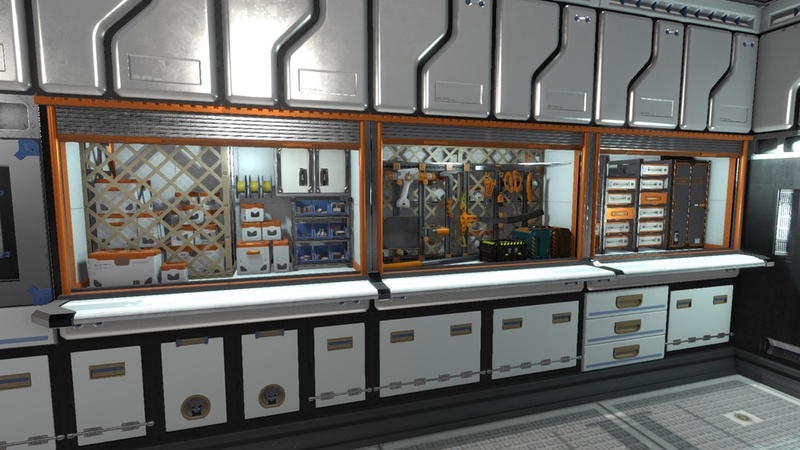 As you can see, the crafting materials and equipment sections are complete and feature many different items you may find as you explore drill sites, supply caches, or other Habitats. For the most part, we simply use crates or boxes to represent the number of items stored in the materials section. The module has five variations, from empty to full, and as you store items you will see it change to represent its contents. You will notice that the only difference is the diffuse texture that is applied to each. We feel that paint color and labels are enough to differentiate these pieces of equipment. Sharing textures and models between assets is important to reduce load times and file sizes. 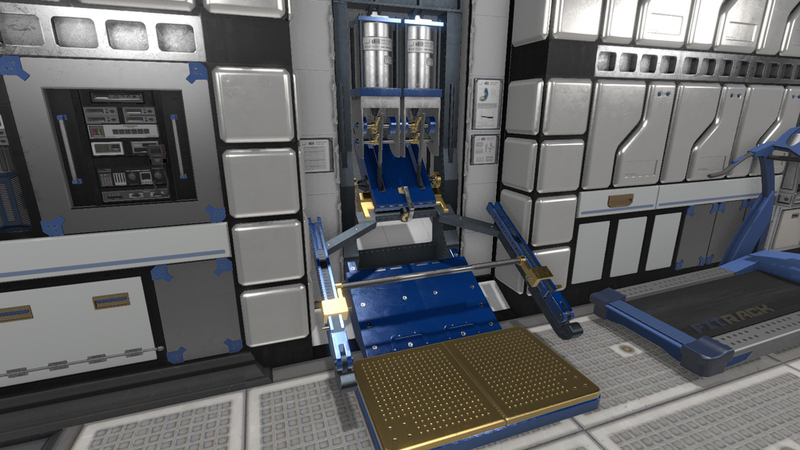 As we approach the release of our early access, we will be taking many steps like this to future-proof our game. Share your thoughts in the comments below.